Advocate Brajesh Kumar has been practicing and handling cases independently with a result oriented approach, both professionally and ethically and has now acquired over 7 years of professional experience in providing legal consultancy and advisory services. 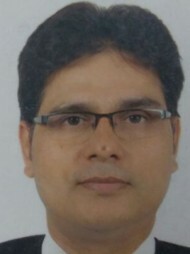 Advocate Brajesh Kumar's office is in Sector-4 Market, Dwarka, Delhi. Questions Answered by Advocate Brajesh Kumar When and to whom is the gift tax payable Clarification regarding TDS Deduction over property over 50lacs.